Rambha was born on June 5, 1976 in Vijayawada, Andhra Pradesh, India. 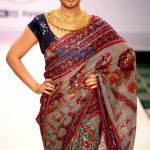 Her acting career began in 1990 with her debut in the Kannada film Server Somanna, followed by the 1992 movie Kempaiah IPS. 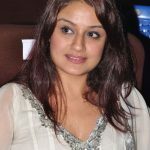 She then starred in several Malayalam, Telugu, Tamil and Hindi features before gaining her breakthrough with the 1996 Tamil feature Ullathai Allitha. She has since acted in more than 100 South Indian motion pictures. As a prolific film actress, she had done numerous successful projects in Telugu, Tamil, Malayalam, Hindi, Kannada, Bengali and Bhojpuri. The most successful Malayalam film she starred in was 2007’s Paayum Puli.